Magna Żmien presents KAPSULA MERILL, the Magnificent Memories Machine - Landing #2 - a night dedicated to the collection of local memories and a tribute to Gozo, as part of Valletta 2018’s Cultural Programme. 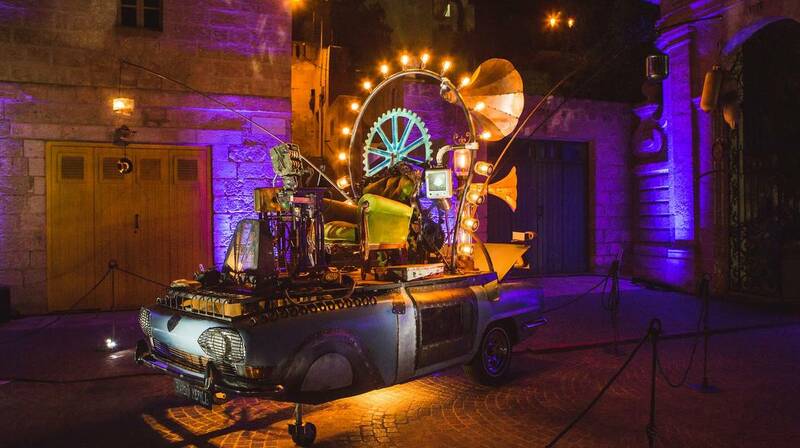 Magna Żmien presents KAPSULA MERILL, the Magnificent Memories Machine – Landing #2 – a night dedicated to the collection of local memories and a tribute to Gozo, as part of Valletta 2018’s Cultural Programme. The event is taking place on the 15th of September (20:00h) , at Cathedral Square, Cittadella, Gozo. The program features a time-machine performance by Armchair Voyager Wistin and the Banda ta’ Memorji Meraviljużi, in addition to a sound installation by Timothy Garrett, and visuals by Andrej Vujicic. Armchair Voyager No. 35, Wistin, offers the unique opportunity to save your trapped memories. Magna Żmien in Gozo coincides with the Valletta 2018 Gozo weekend – taking place on the 15th and 16th September. Apart from Magna Żmien’s landing in Cittadella, the island of Gozo will also be hosting a film screening by Tafxnaf, a Valletta 2018 project which gives children a voice through storytelling and film-making on the 16th September and the exhibition 1001 Dreams, which includes a framed collage of instant photos that encourage us to dream again. This event forms part of the Valletta 2018 cultural programme, organised in collaboration with Reġjun Għawdex and the Victoria Local Council, and supported by Spazju Kreattiv.